The Ancient India and Iran Trust will be closed for Christmas and New Year from 23 December until 2 January 2017. It will re-open again on Tuesday 3rd January. 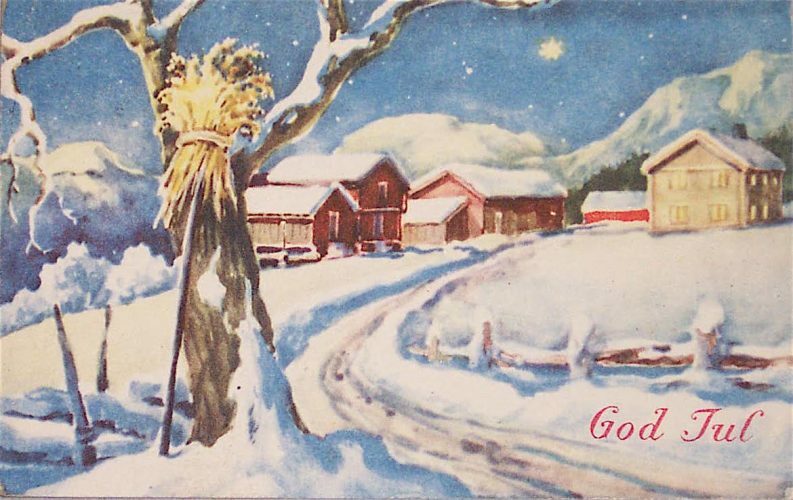 We wish you all a very happy Christmas and New Year with a reproduction of this Christmas card sent to Sir Harold Bailey in 1946 by the Norwegian Indologist Sten Konow (1867-1948). Konow had worked with the Central Asian explorer Sir Aurel Stein and the Sanskritist Rudolf Hoernle to decipher the newly discovered Central Asian texts in Khotanese, work which Bailey subsequently continued and refined. Their correspondence began in 1930 while Bailey was Lecturer in Iranian Studies at the School of Oriental Studies – as it then was – London, and they remained firm friends until Konow’s death in 1948.